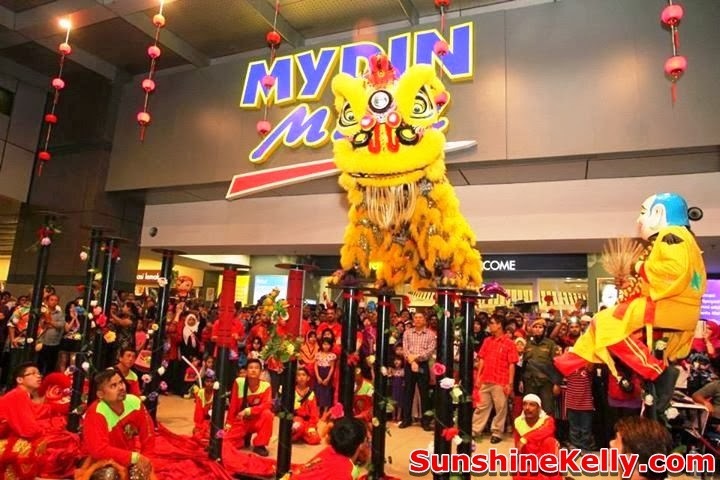 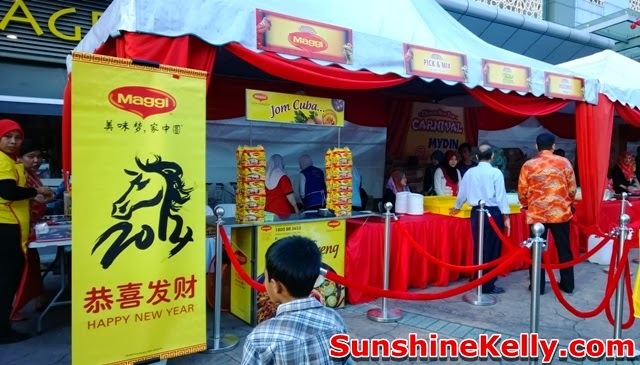 Last weekend I attended the Chinese New Year Carnival @ Mydin Mall USJ. 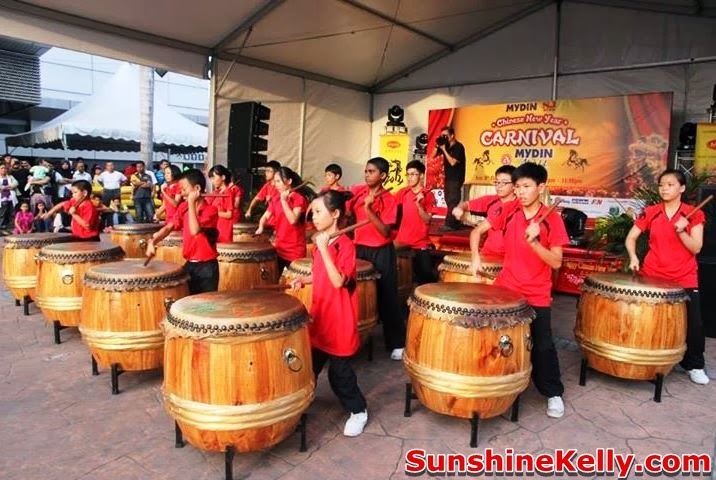 It was a big scale celebration on 8th Feb 2014 from 6pm till 11pm. 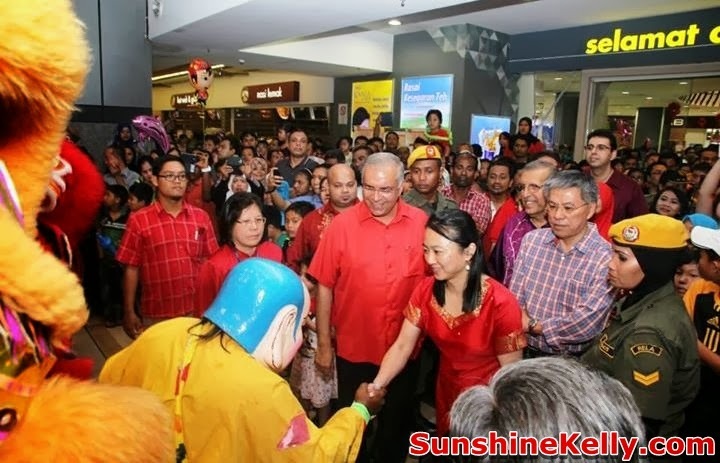 The carnival was held on the 8 was to signify to auspicious number and the number 8 also signify our country development because out Petronas Twin Towers has 88 floors. 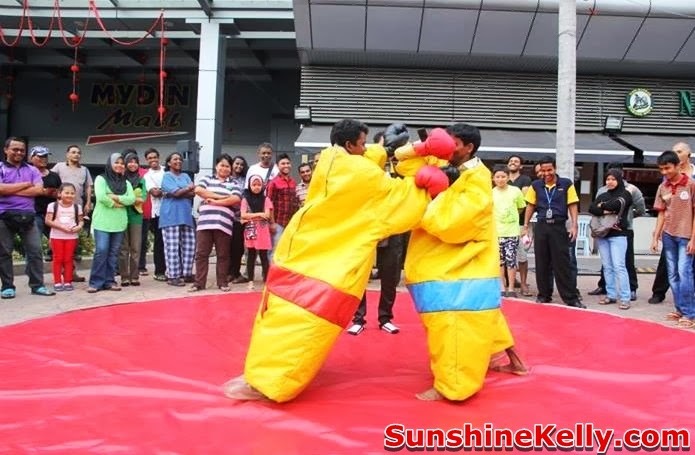 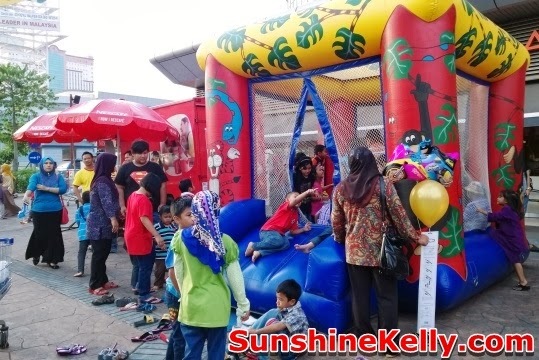 On that day there were a lot of activities, food and entertainments going on including there were many great lucky draw prizes too for those who attend the event. 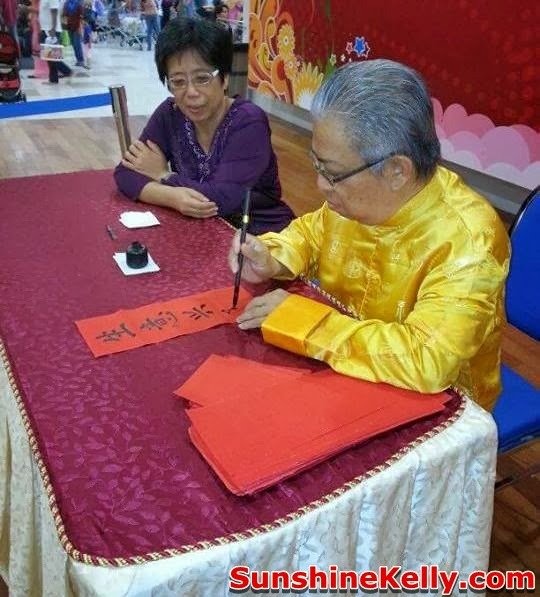 That evening, there were lots of activities going on such as Rodeo Bull Challenge, Sumo Challenge, Lucky Draw, Acrobatic Lion Dance, Wushu, Special Performance by Julio, 12 Chinese Seasonal Drums, Chinese Calligraphy by Master Kwan, Face Changing Performance and many more. 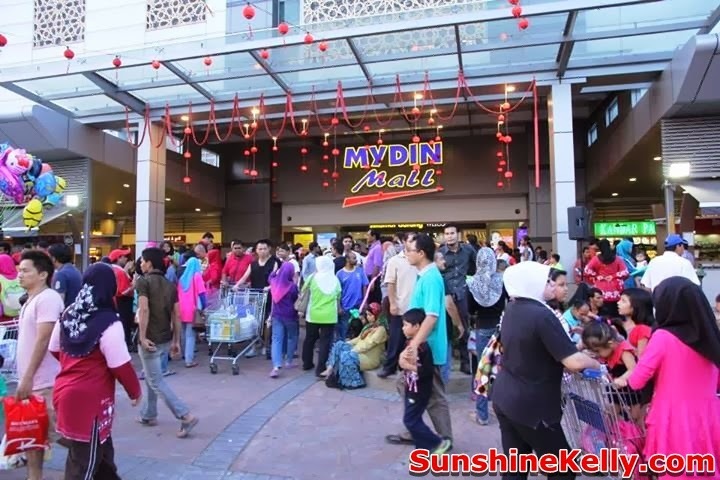 Mydin also invited 20 old folks from Rumah Sejahtera Seri Setia, Petaling Jaya to join their Chinese New Year Carnival. 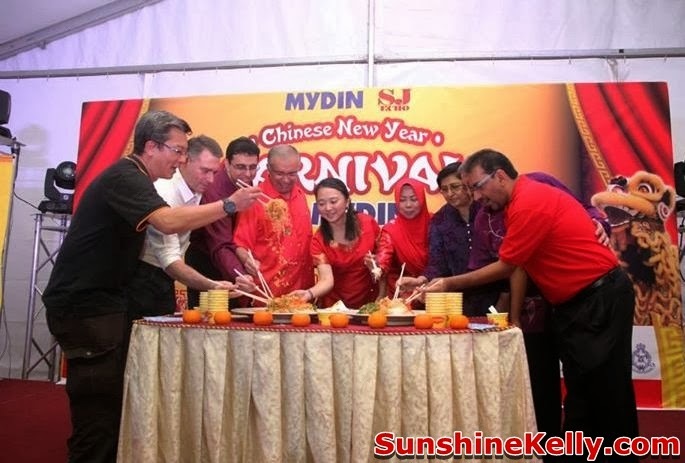 Not only that there were many food and beverages stall setup with the concept of 1Malaysia. 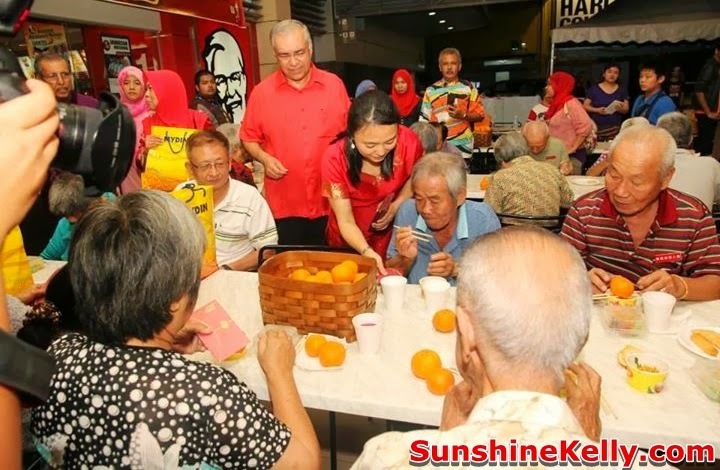 The food served includes char koey teow, curry mee, noodle soup, chicken rice, dim sum, malay kuih, cake and pastries, ice cream, fruits and drinks.